Abi Varghese recently launched his third TV comedy series – Metro Park. 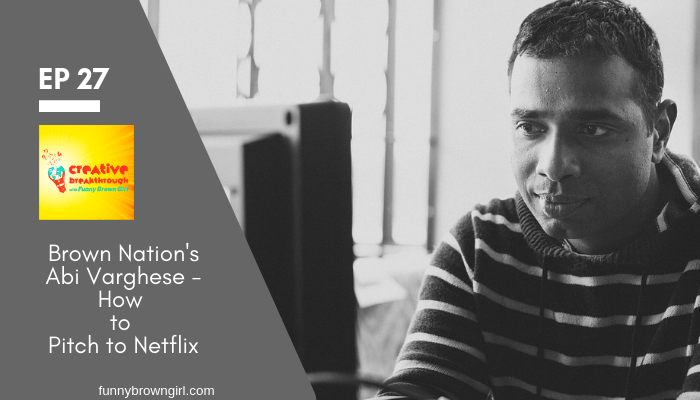 You may also know him as the writer and director of the popular Netflix series Brown Nation. 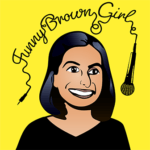 Abi talks with us about writing a TV script, pitching to Netflix, and the process of writing, selling, and producing a TV show! He also shares with us his journey from Corporate America to Creative Entrepreneur! Abi is a New York based writer/director, best known for his Netflix Series “Brown Nation.” His other notable work includes “Akkara Kazhchakal” an Indian TV sitcom that went for 5 season (50 episodes). Abi’s feature film includes “Monsoon Mangoes” which stars Fahadh Faasil, Vijay Raaz, Vinay Forrt & Tovino Thomas. Abi is currently working on a feature film in Hindi as well as a couple of new TV series. In this episode we talk about balancing a full-time career with a passion project, making the move to full-time creative entrepreneur, and taking your script from creation to production.